One-to-two laser welding machine multi-function hand-held portable welding advertising laser welding machine, is a handheld one-word advertising laser welding machine, the first generation of advertising word laser welding machine is hard optical road fixed laser welding, but will encounter relatively large advertising Words, it is not convenient to solder on a fixed workbench, what should I do? 3. Specially designed telephoto lens F=200mm. The welding surface has no protrusions, no need for polishing and polishing, saving time and labor, and being beautiful and firm. 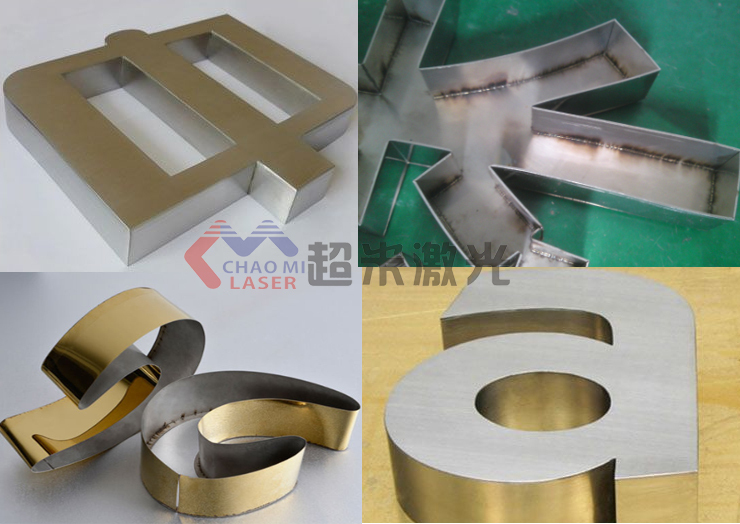 It is applied to the rapid precision welding of various stainless steel characters, LED letters, LOGO logos, signs, advertising characters and other products. If you just saw the product introduction on this page, it may not be very comprehensive. You can contact us directly with the super meter laser. We will introduce you to the relevant product pictures, detailed parameters, sample effects, video, and now One step is that you contact us.